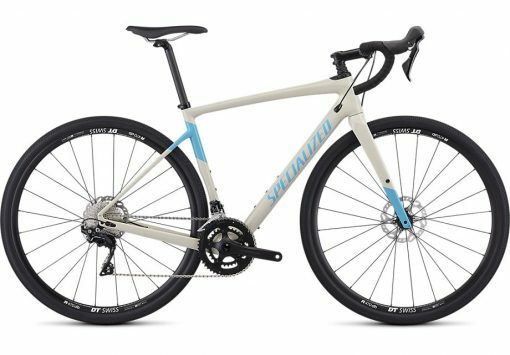 With the Diverge Sport, you’ll be prepared for anything the road throws at you, from smooth tarmac to the most chewed-up tracks out there. It’s packed with all the same technologies as its pricier cousins, only its spec places an emphasis on reliable performance, not components so flashy you’ll be eating nothing but top ramen for months. 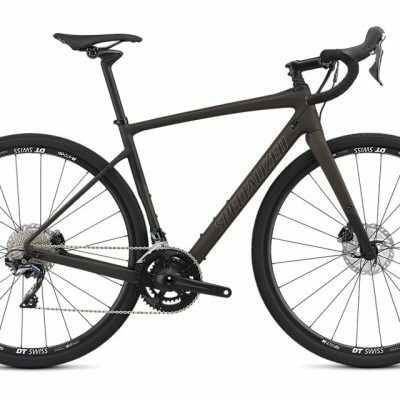 With the 2019 Diverge Sport Carbon, you’ll be prepared for anything the road throws at you, from smooth tarmac to the most chewed-up tracks out there. It’s packed with all the same technologies as its pricier cousins, only its spec places an emphasis on reliable performance, not components so flashy you’ll be eating nothing but top ramen for months. 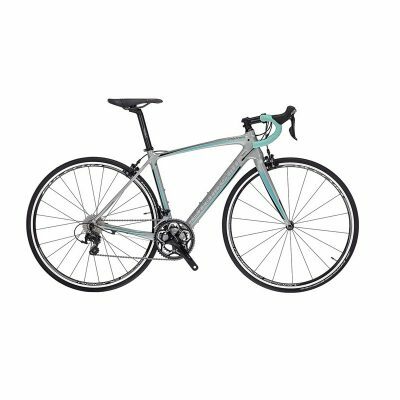 Next up, we moved away from a traditional ‘cross geometry, instead opting for something that hasn’t been seen before—our Open Road Geometry. 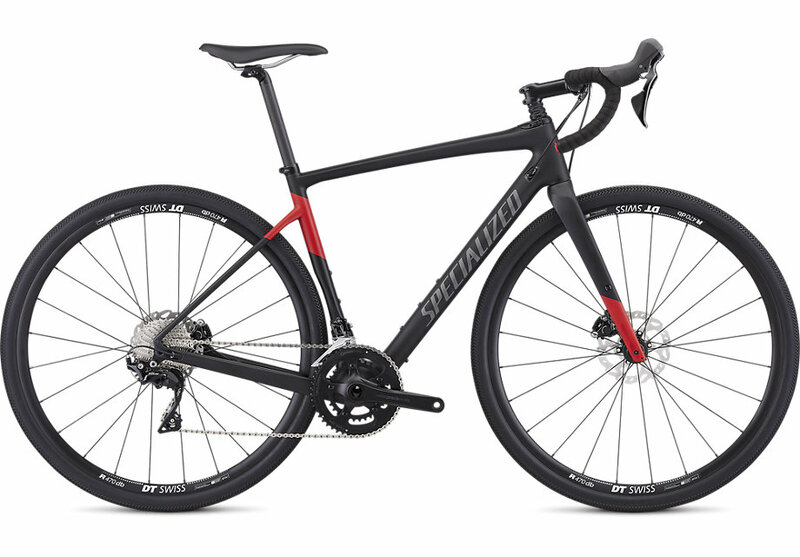 You can think of it as a road version of modern trail bike geometry. It provides playful handling and predictable steering for endless dirt skids and mid-corner drifts. The geo features a bottom bracket that’s over a half-centimetre lower than the previous Diverge, a slacked-out head tube angle, short chainstays, and a short wheelbase. These changes make for a bike that’s not only fun in the dirt, but also performs well on the road. And while riding gravel and dirt roads on a road bike may add to the adventure, there’s only so much that wider tyres with lower pressures can absorb, in terms of bumps. With this in mind, we implemented a new version of our Future Shock into the Diverge design. It not only soaks up bumps with ease, but also adds the benefit of extremely predictable handling. That’s because the wheelbase isn’t lengthening when you hit a bump, so the front end of the Diverge keeps the same effective head tube angle. In other words, when you dive hard into a turn, you won’t be surprised by under-steer or sloppy handling. Unlike the original Future Shock (found on the Roubaix), the Diverge’s version features a progressive spring that makes this technology more suitable for off-road applications, where stiffer suspension is often needed to soak-up larger bumps and obstacles. Adding to its multifaceted talents, we topped it off with three water bottle mounts, plus mounts for racks and fenders. 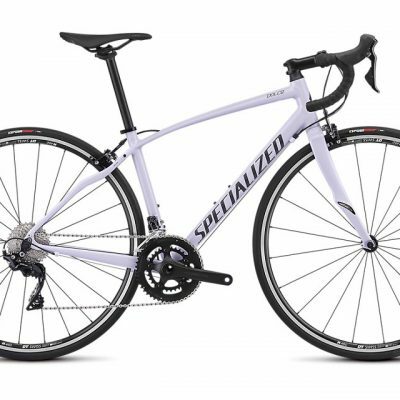 For the spec, we wanted to make sure that it shifted crisply and braked smoothly for years to come, so you’ll find a Shimano 105 groupset, hydraulic disc brakes, and an DT R470 Disc wheelset.